For several years, books and music have remained my primary forms of oxygen (and entertainment). However, between thrift stores, Netflix, Blockbuster Online and the cinema, I have come to enjoy motion pictures more than I ever thought I would. All Harry Potter motion pictures–What can I say? As a Witch, I enjoy motion pictures that have a Magickal theme. And as an ethical Witch, I AM especially on the lookout that portray Witches and Wizards in ways that are not typically Hollywood (you know, in which we are all Satanists and have nothing better to do than to use our Magickal Powers to change our hair color). 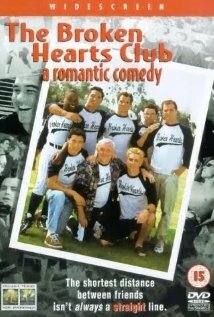 The Broken Hearts Club: A Romantic Comedy–I have watched this motion picture three times (which, for someone who hardly ever watches motion pictures, means this is a favorite of mine). I have laughed, cried, been angry and moved to love Life even more because of it. I vaguely recall this receiving mixed reviews, but I rarely read motion picture reviews and have always enjoyed watching a motion picture, regardless of the number or tone of the reviews about it. 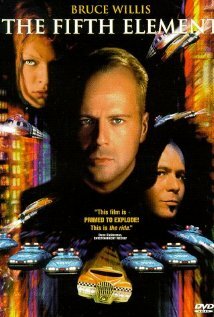 Any Science Fiction motion picture starring Bruce Willis–I have seen The Fifth Element five times and enjoyed it every single time. Plus, I AM one of those strange birds (or, rather, men), that find Chris Tucker funnier than Chris Rock. And in this motion picture, Chris Tucker had me screaming with laughter! Virtually every Tyler Perry motion picture–I have seen both Diary of a Mad Black Woman, Meet the Browns and Madea’s Big Happy Family each three times. And all nine times, I laughed until I thought my appendix was going to burst (yes, ladies and gentlemen, I still have it in me), cried until I thought I could not cry any longer, and was moved to see how Divine Energy truly moves within and without all of us. Not to mention the fact that Tyler Perry is truly skilled in casting some of the most GORGEOUS men of African-American descent in his motion pictures. Any motion picture starring Adam Sandler–You know, for years, I used to hear people talk about why they loved the men they were dating. And every time I would hear, “He makes me laugh,” I would have to enormously stifle the urge to roll my eyes and cough the word “loser” in my hand. Of course, that changed when I dated a man who made me laugh, until he broke my heart and became a fuckface. However, Adam Sandler has made me laugh on countless occasions. 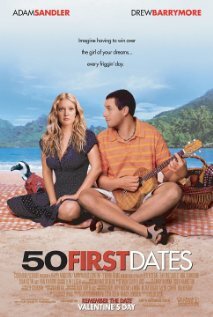 My current favorite of his is 50 First Dates, as well as Spanglish. His The Wedding Singer is also a favorite of mine. So, ladies and gentlemen these are just a small sampling. I shall do my best to watch more motion pictures in the near future and create another page. Thank you and good night. Wow! No one commented on this; and given how many people watch motion pictures and much more often than I do. I still have a VHS VCR, so clearly there are many more people watching more motion pictures than I do (and I AM sure, dear blog reader, you have noticed, that all of these motion pictures are, at least, a few years old. What does that tell you?). I know this post is a couple of years old, but I can’t help but comment. I’m a huge fan of “50 First Dates”. It makes me smile. I’m also a Sci-Fi fan (both in books and movies), but my tastes run back a few years. The original “Day the Earth Stood Still” with Michael Rennie is one of my favorite movies. 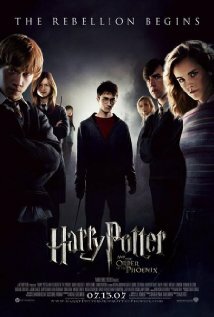 I love the Harry Potter movies, but I like the books better. I love the details in books that can’t be included in movies because of the time element. First, thank you for both your Email, and for your comment on my WordPress Blog. And please do not fret about the fact that it is a rather old post. I AM open to comment on ALL my posts and pages, no matter when they were first published. I appreciate the motion picture recommendations, and we certainly have similar tastes. I rarely watch comedies, and even rarer, motion pictures,but I realized that, if I have watched at least two motion pictures, starring the same actor or actress, then I clearly love him or her. Such is the case with me and Adam Sandler. I have been led to watch the “Harry Potter” motion pictures, again, before reading the books, and I shall look for the original “Day the Earth Stood Still,” starring Michael Rennie.